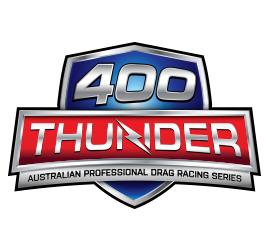 The ‘White Knight’ (more recently dubbed the ‘White Rhino’) is headed back to Sydney Dragway for Santo’s Summer Thunder, to help celebrate the track’s 15th Birthday Bash. NSW is also the home of sponsors S.E.X. 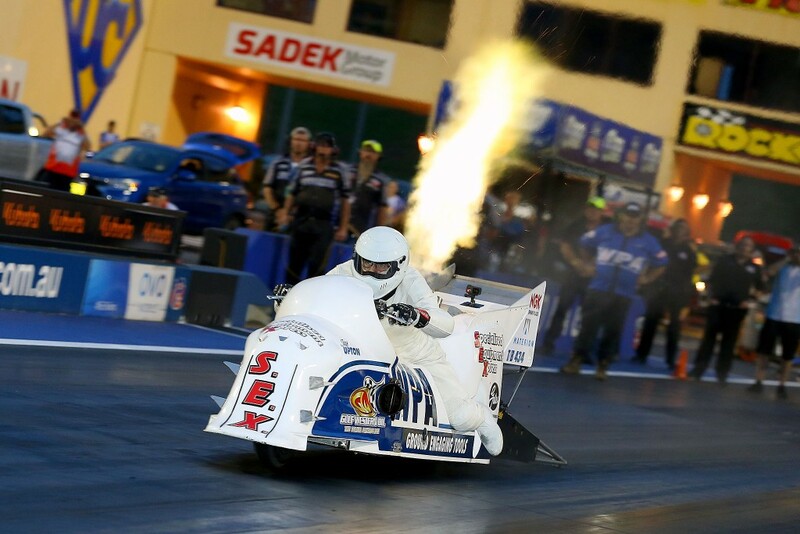 and Gulf Western Oils, so its going to be a big day out for the WPA Top Fuel team! Jay Upton has history at Sydney Dragway, having recorded the first two professional National Records at the very first event at the track back in 2004. Later that year in May Upton took a further 2 tenths off that record with a blistering 6.1 second time in qualifying for the first ever Nitro Champs (now known as the Nitro Thunder). Jay commented that it was a special honour to be selected for one of the 15 best moments at the track, which will be unveiled during the event this weekend, but wishes he could be remembered for spectacular performances rather than that spectacular crash at the May event in 2009, which destroyed a brand-new bike and left him with a broken pelvis.